Feast: The Art of Playing With Your Food debuted to the public on October 13 at The New Children's Museum. On the eve of the grand opening, the museum offered up its 3 art-filled floors for the 6th annual benefit, Feasting in Wonderland, inviting participants to be among the first to explore the thirteen interactive exhibits, each installation paired with a local chef who translated inspiration from the art into a delicious donated dish, as well as a mixologist who coupled an inspired craft cocktail. Guests indulged their senses with food, art, music and dancing during the course of the 4 hour Feasting in Wonderland event. Interim Mayor Todd Gloria was in attendance, mixing and mingling with the crowd, and even made his way up on stage to pay tribute to the efforts of the museum. Silent and live auctions offered participants a chance to pledge further support through the purchase of a variety of prized items and experiences. On the bottom floor, guests were offered airbrush tattoos, which were surprisingly popular, especially as the crowd loosened up later in the night! 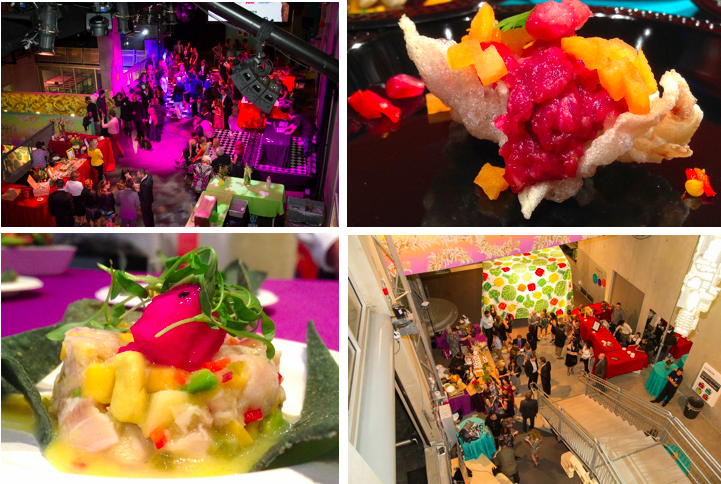 During Feasting in Wonderland, chefs and mixolgists put out beautiful culinary and spirit offerings that paired well with their assigned Feast exhibits. Chef Shihomi Borillo from Azuki Sushi prepared a hearty mushroom stew with shitake, oyster and shimeji mushrooms and caramelized onions and corn, all served inside baked potato cups. She was paired with Mol_d, an exhibit of interactive building blocks made from mushrooms by artist and mycologist (mushroom scientist) Phil Ross. The cocktail paired with the exhibit was by Mike Yes of Auberge Resorts, who's aptly named S'pores cocktail was a spin off of s'mores and a White Russian. Our favorite culinary offering of the night (and one of our tastiest bites of 2013) was Chef Chad White's crispy lechón tostada with orange and pickled mustard jelly, suckling pig chicharons, orange and togorashi pop rocks, clove-sesame powder and tangerine lace. This meat candy was absolutely fantastic and was paired with Mitch Johnson from Blind Tiger Cocktail Co.'s cocktail called Bixby-Bryant - a blend of tequila, champagne lemon and orange marmalade. The exhibit that this was paired with is called Orange we... by Nina Waisman, which will surely be a favorite amongst children due to its jungle-gym motif. Feasting in Wonderland provided for a much different experience than the Feasting In Versailles event, but not at all in a negative way, as both were entertaining in their own right and offered delicious food and beverages, and totally different vibes. 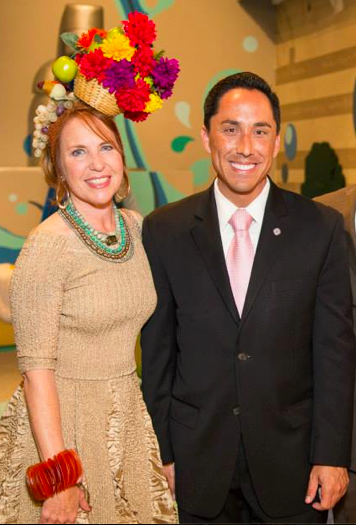 The New Childrens Museum should consider hosting more elaborate events because they certainly know how to throw a great party! Be sure to check out the exhibit Feast: The Art of Playing With Your Food at The New Childrens Museum. For more information on the museum or the exhibit, visit the website at thinkplaycreate.org, and follow on Facebook and Twitter. Dragon Fruit Ceviche "Fruits de Mer"